This logo was produced for a yoga studio owned and operated by three female co-founders in Northern Virginia. With a predominantly female clientele, purple and pink were chosen up-front. Considering yoga's historic connection to Buddhism, Jessie borrowed visual inspiration from the repeating, circular patterns found in Buddhist monks' mandalas. 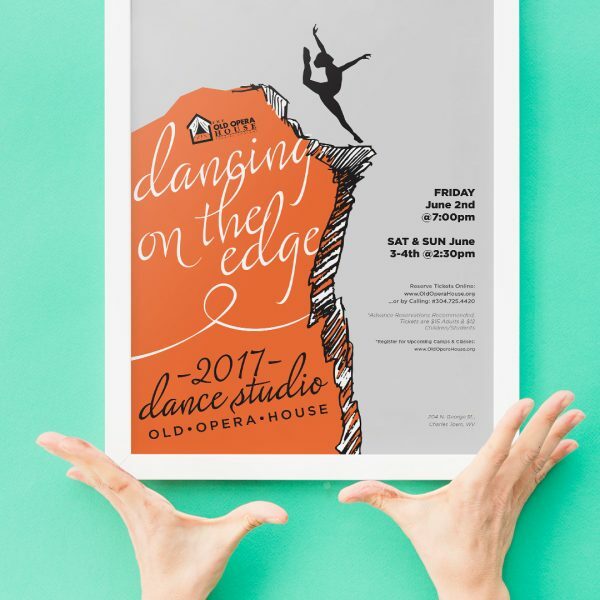 Custom illustration created for the Old Opera House Arts Centre Dance Studio, with the theme "Dancing on the Edge". 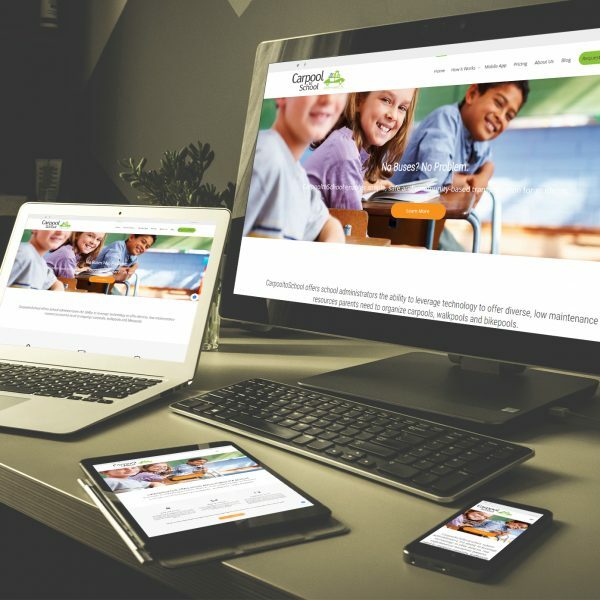 Work for CarpooltoSchool started with Jessie developing a robust marketing website from the ground-up using WordPress. She helped create automated marketing e-newsletter campaigns within Act-On and MailChimp, while also establishing the initial development and management of their blog. This included managing a posting schedule, authors, and editing milestones. 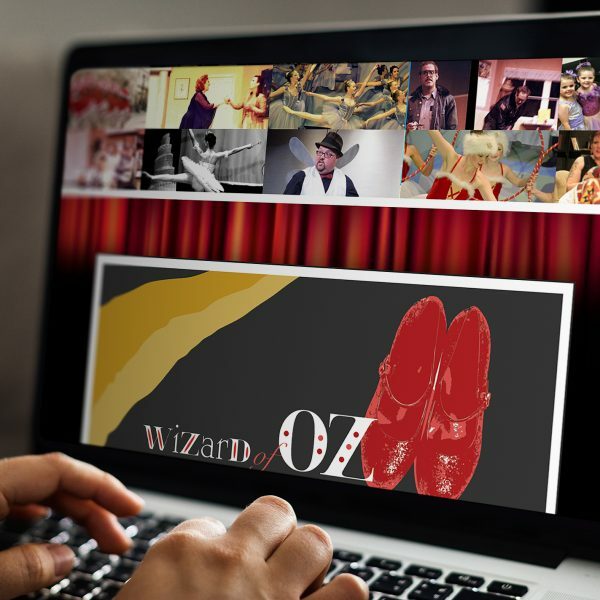 Work for the Old Opera House includes creating full fledged marketing campaigns for each live production the OOH produces. Marketing materials Jessie has created have included: updates to the website, the development of postcards, posters, flyers, e-newsletters to patrons, correlating social media posts, and digital signage. Jessie offers logo and branding services for growing businesses in the greater Washington DC area and beyond. She can help you develop your new business's logo or refresh your current logo that is in need of updating.